After an exhausting campaign season, election day has finally arrived. You're invited to watch live coverage of the election results with us on Tuesday, November 8 beginning at 6:00pm. 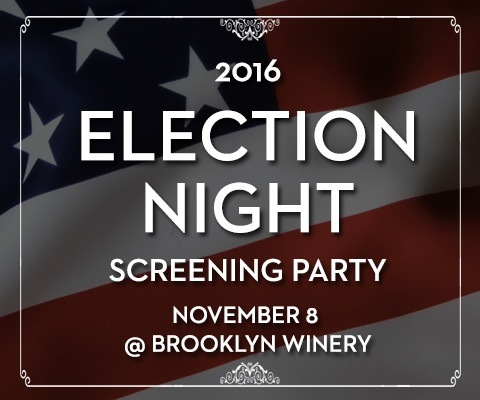 You can enjoy food from our Election Night menu as well as delicious Brooklyn Winery wines and our cocktail special. Seating is first come, first served, so arrive early to snag your seat!